Backups are important. No matter what you do on your system, having a reliable backup system can help you in times of need. Often times, most of us will back up our system to some other drive in the same system. 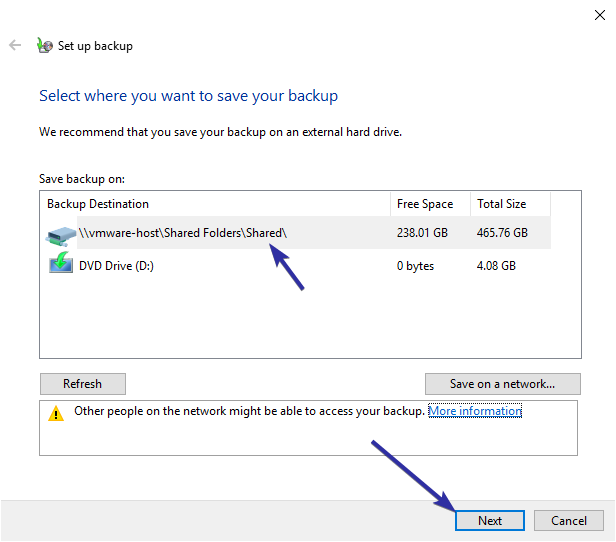 However, to be extra safe or if you have a separate network drive or NAS, you can create Windows 10 backup to network drive. The good thing is, you don't have to install any third-party tool. 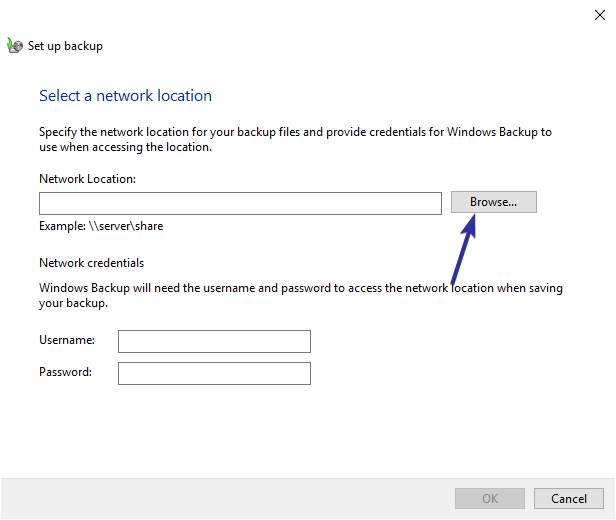 You can use the built-in tool to backup Windows 10 to a network location. Let me show you how. 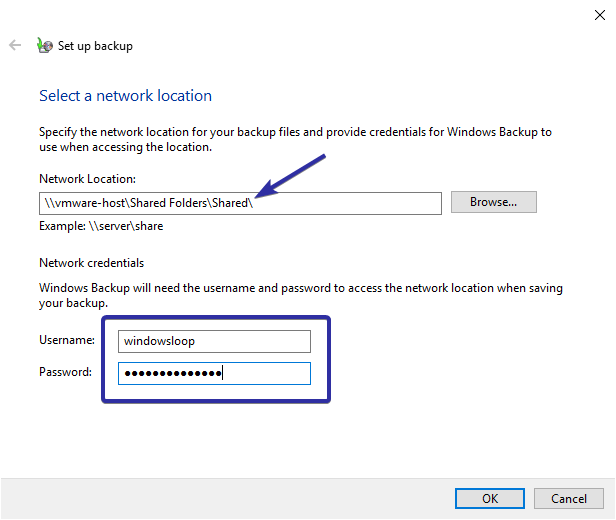 To create a Windows 10 network backup, we can use the built-in backup tool. 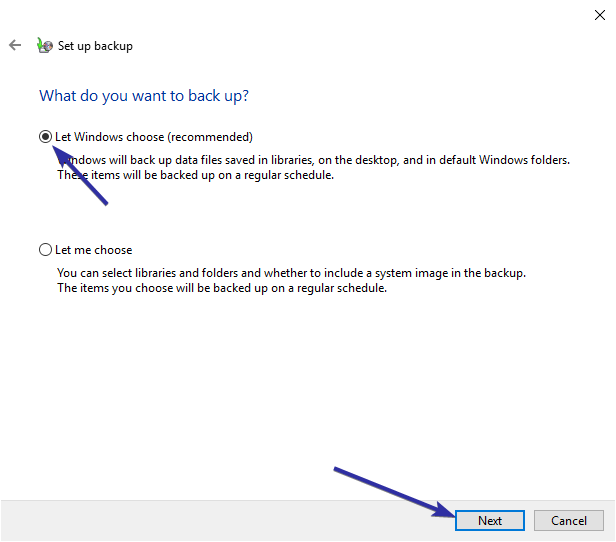 All you have to do is select the destination and Windows 10 take care of what files to back up and when to back up. 1. Open the Settings app by pressing the keyboard shortcut Win + I. 2. In the settings app, go to "Update & Security -> Backup" page. On the right panel, find and click on the "Go to Backup and Restore" link. 3. The above action will open the control panel page. Here, click on the "Set up backup" link. 4. 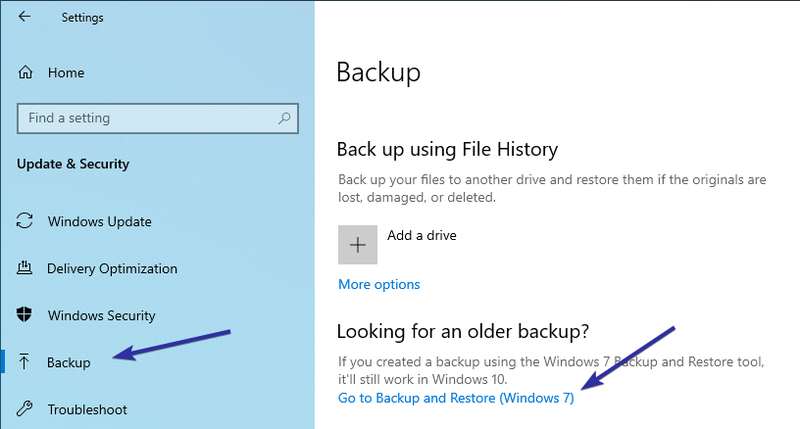 As soon as you click on the link, Windows 10 will open the backup tool. 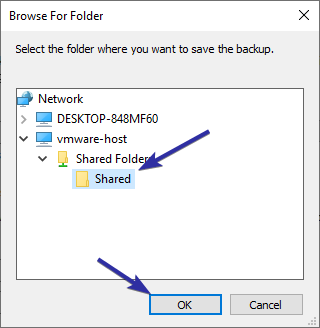 Here, since we want to backup Windows 10 to a network drive, click on the "Save to a network" button. 5. You will be prompted to choose the network location, if you know the network path, enter it in the Network Location field. Otherwise, click on the "Browse" button. 6. Now, find the network location in the browse window and click on the "Ok" button. 7. Once you select the network location, Windows 10 will add the path automatically. Next, enter the username and password of the network location in the respective fields and click on the "Ok" button. Note: if the network location has no password protection or if Windows this it is not secure enough, Windows may not back up the full Windows 10 image to the target network driver. 8. The newly added network location will appear in the backup destination selection screen. If you don't see the network location, click on the "Refresh" button. Here, select the network location from the list and click on the "Next" button. 9. Windows 10 will now ask what to backup. Generally, it is better to let Windows choose what to backup. So, select the radio option "Let Windows choose" and click on the "Ok" button. 10. Windows will now create a schedule to automatically backup Windows 10 to a network location. You can see the schedule at the bottom of the screen. 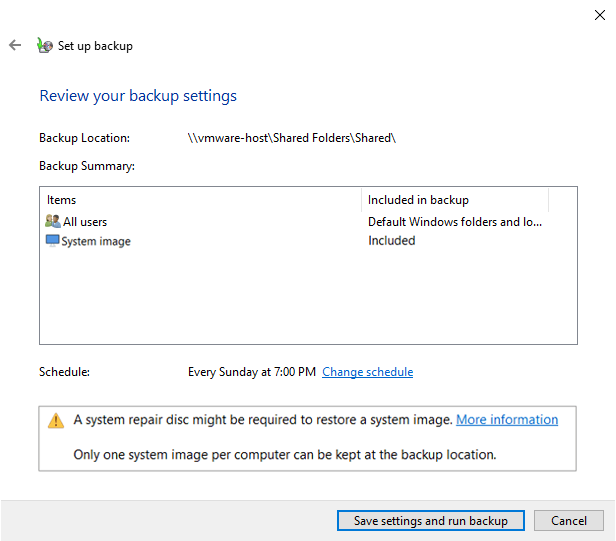 To save changes and start the backup, click on the "Save settings and run backup" button. 11. As soon as you click on the button, Windows will start the initial backup process. 12. 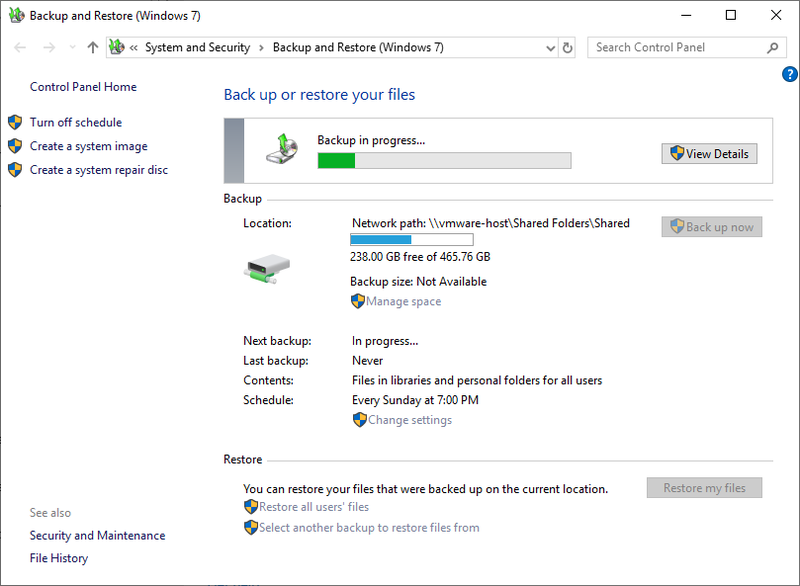 Once the backup is complete, Windows will list the backup size. The backup is stored in the network drive with your computer name. 13. When you want to restore a backup, simply go the backup page, select the restore option, and follow the restoration wizard. That is all. 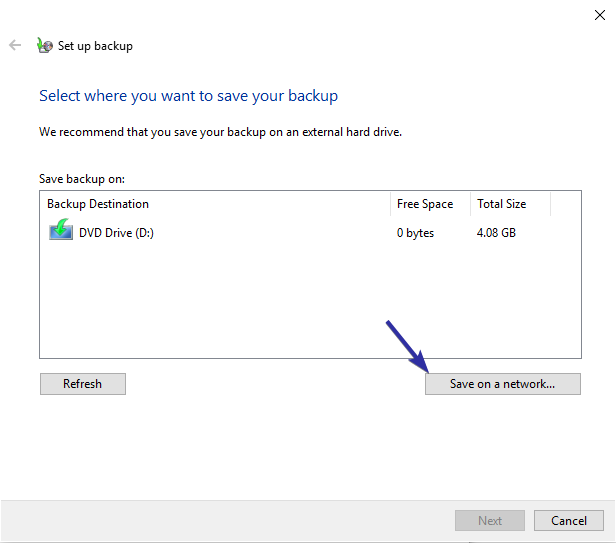 It is that simple to create a Windows 10 backup to network drive. If you like this article, do check out how to backup group policy settings and how to backup registry editor in Windows 10.